Choosing the right membership plugin is a task that’s easier said than done. The fact that it can be a bit of a nightmare switching plugins after your membership has opened its doors is something which makes your decision even more important. 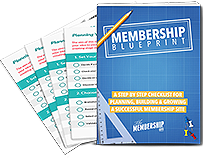 There is no “one size fits all” best membership plugin for every situation, and so the process of deciding which to go with involves identifying your specific needs and then narrowing down the options; however making the final choice often requires you to dive deeper. To help you be sure you’re making the right choice, here are 8 questions you should ask before you purchase your membership plugin. What are the technical requirements of running this membership plugin? Some plugins may have specific requirements when it comes to your hosting or server in terms of the software it’s using and the technical specifications in place. Ask your plugin provider what their recommended specifications are, and then run these by your server or hosting provider to ensure there won’t be any issues. What happens if I cancel or fail to renew my license? Licensing can be tricky and varied when it comes to membership plugins; particularly where WordPress is involved. Some licenses are basically just for support and updates, and technically the software itself is “free”; therefore if you cancel or fail to renew you simply lose access to support and future developments to the plugin. However some companies have more restrictions in place that limit or even completely restrict the functionality of their plugin if you stop paying for your license. Does your plugin company offer telephone support? Live chat? Online support? Make sure you know what options are offered and get an idea of the sort of turnaround time you can expect when submitting a support request, as well as how hands on the support team will be so that you’re not left stuck should a problem arise. Is any of the code encrypted? Some plugin developers – particularly those with more stringent licensing terms – will encrypt a portion of their code in order to avoid other developers from copying their software, or removing or altering the measure they put into place to restrict unlicensed versions. Often when doing this, they sometimes go a little over the top and encrypt everything; meaning if something breaks or you want to customise how it works then you can’t. Encrypted code usually also means your hosting account or server has to have special software installed in order to run, so it’s worth finding this out beforehand. Are there any known conflicts with other software or plugins? In some cases you may have created your website in its entirety before installing your membership plugin. This is a bad time to discover that your WordPress theme or key plugins you’re using don’t play nicely with your newly installed membership system. Often membership plugin developers will be aware of any conflicts their software has with other themes or plugins, so they can help you avoid potential headaches. Is everything I need included in the license or are there additional paid features/upgrades required? There’s nothing worse than investing in something you think is the perfect solution, only to find out that it requires you to spend even more money to get it to do what you want. Most plugin developers are clear and upfront about what their software can and can’t do; however some are a little less transparent and have a bunch of paid upsells waiting for you as soon as you buy. Before paying, make sure what you’re buying includes everything you need. Will this membership plugin allow me to do this specific thing? There’s no room for assumption when choosing your membership plugin; so even if every other plugin you’ve looked at has a particular feature or operates in a certain way, don’t take it for granted that your final choice does too unless the developer specifies that it does. In researching your plugins we always recommend drawing up a list of essential features and “nice to have” requirements. It may be worth sending this to your developer of choice to confirm it does what you need – especially if you have any requirements that are out of the ordinary. Are there any options for exporting data from the plugin? We cannot impose strongly enough on you just how much of a pain in the backside it can be to try to move from one membership plugin once your site is open and has paying members. 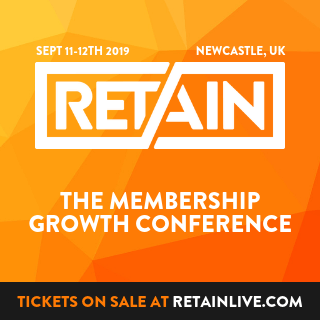 However if you found yourself in a situation where the benefits of doing so outweighed the hassle, then being able to export existing members and their subscription details from your existing membership plugin will give you a leg up on the whole process. Asking these 8 questions and, more importantly, engaging in a dialogue with your chosen plugin provider before parting with your cash will improve the likelihood that the decision you make will be the right one for your membership. Need more help narrowing down your options? 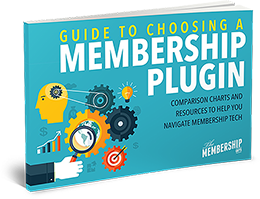 Download our membership plugin comparison chart. Compare the leading memberships plugins in order to help you to figure out which is best for you to use on your own site.